Part of the Algorithm Hall of Fame is a series of art-pieces created around/with algorithms. The digital artist Seb Lee-Delisle has created a robot that creates art-on-the-go. 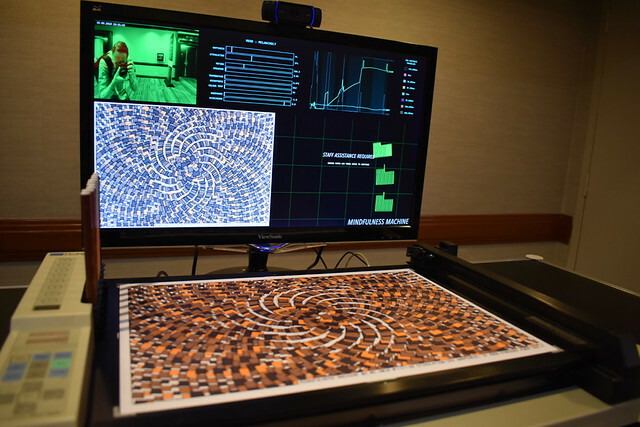 It senses the atmosphere of the room -including the people that are looking at it; creates a drawing using algorithms; and then patiently starts to color it in. 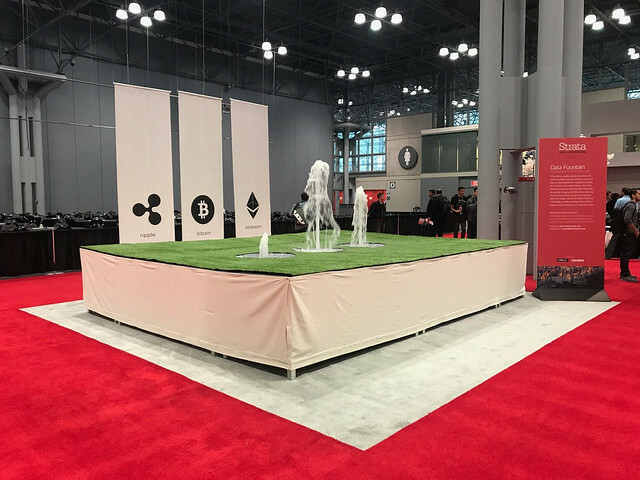 Together with artist Koert van Mensvoort we have used hashing algorithms to create an interactive fountain that symbolizes “money like water”. It represents three data-flows based on the current price of Bitcoin, Ethereum and Ripple. 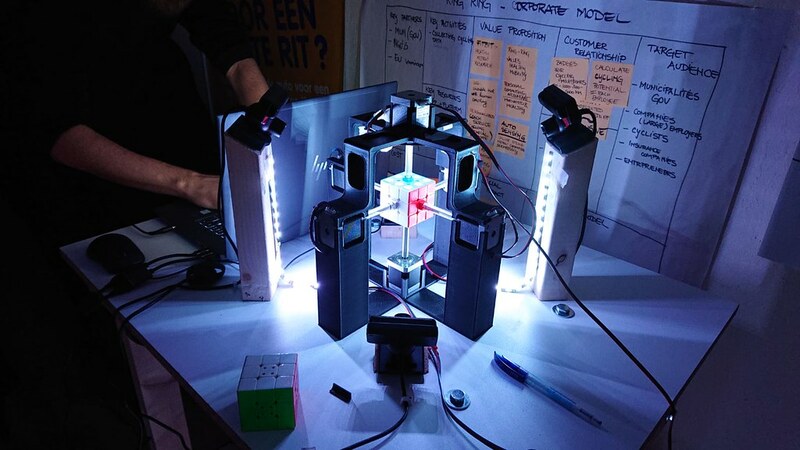 Inspired by the work of Jay Flatlands, two students of the University of Amsterdam created a robot that can solve Rubik’s Cube in less than 60 seconds.